Booknotes: Sascha Arango's Very Lame 'The Truth and Other Lies'. 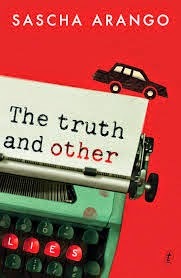 Sascha Arango's Very Lame 'The Truth and Other Lies'. What a one-dimensional, lame effort this is! Highly lauded in the usual places of course, but in no way whatsoever does it live up to the hype. Let's not dignify it as a 'thriller'. It's just a pretty ordinary mystery with a plot that jumps around all over the place and plot connections that are flimsy at best. It grinds on to a slow and laborious denouement, and I was only interested right to the end just to see how the author would wind it all up, bring all the disparate elements together, resolve it in an emotionally and intellectually satisfying way - you know, do what's normally required - but no, none of that happens. It just peters out. All the vaguely interesting characters die along the way or are simply abandoned by the author. And the translation is often clumsy. For instance: 'The estate was in the waking coma of industrial decay'. What on earth does that mean?! A really second rate effort that should never have been published. It's a first draft that needed an experienced structural editor that it obviously never got.